Good morning and HAPPY November. We have been “watching” a three month old Bernese Mountain dog this weekend for an artist friend as she has an exhibit this weekend. In already sending her out for her morning duty I couldn’t help notice such a change in comparison to last week. It’s calm, peaceful and a comfortable temperature. Gone, for now, are the winds, storms and rains. Enjoy the calmness. 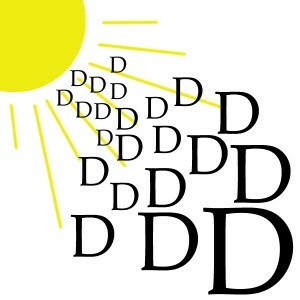 In preparing some information on vitamin D for a presentation yesterday I had a flash back to my childhood. I have actually had this flash back on numerous occasions over the last 3 years. I remember a time, in my childhood or as a teenager, I hated November! In recalling the only thing I can remember is that it was a dreary time of year. Miserable and dreary. That’s it, just BLECH. As in numerous occasions, even while going through last weeks day after day of rain it was ok. This is how November has been for me now; nice, just a transition into December, a level of acceptance. While gathering this info on Vitamin D it became ever so clear as to the why November felt the way it did “back then”. When you think of vitamin D what comes to mind? Sunshine……happy. What about bones and teeth health? The sun accounts for up to 90% of the body’s vitamin D. But when we think of the sun of course now we think of the need to protect ourselves from the connection to cancer. There is a consumer report that states 69% of the population uses sunscreen. Yet populations around the world are suffering from vitamin D deficiency. This problem is widespread and increasing, with potentially severe repercussions on bone fracture rates as well as overall health. Your body needs several nutrients in order for calcium to be absorbed and used properly. Two of these nutrients are Vitamin D and Vitamin K. Vitamin D increases absorption of calcium from the small intestines so the body receives maximum benefit. The RDA for vitamin D was set to prevent rickets. I don’t know about you guys but I haven’t heard too much about THAT these days. But what about cancer? And diabetes? And not to mention MS? Now those I’ve heard more about. 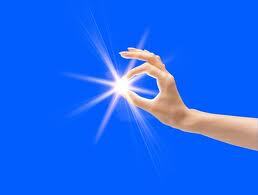 Vitamin D is a big player in an optimal functioning auto immune system. The previous mentioned dis-eases are auto immune diseases along with another 80! Auto immune disease is when your immune system attacks healthy cells. It doesn’t know the difference. I laughed at this point as I remember at one point actually making sardine sandwiches for myself and my family. Like that went over well. It wasn’t until a particularly stressful period in my life and I was faced with, making a choice to decide to give vitamin D a try. I wanted to avoid becoming one of the stats that contributes to the 400% increase over the last 10 years of usage of anti depressants. Vitamin D is fat soluble. It is the body’s way of storing all the vitamin D from the summer to last you through the winter months. Blue Monday is fast approaching. It is the third Monday in January when it is estimated that the bodies levels of vitamin D are depleted. A special note to those that are of darker skin: The dark skin of African-Americans cannot absorb enough sunlight to generate adequate amounts of vitamin D. With vit d being stored in the fat cells those with dark skin haven’t even absorbed enough vit d over the summer to get them through September. It’s my goal to get this globe shining in mid-January with all the vitamin D glowing from the inside out. We can take you through the very same assessment that is Dr.OZ approved, the same one that Jason Ryan Dorsey attributes to giving him one of the BIGGEST awareness’s to change the way he manages his health. The assessment takes only a couple of minutes. You will receive a copy of lifestyle changes on an optimal level and minimal level that you can choose and apply to your life.